At the beginning of the year, I joined an online photography group. My reason for joining was to learn as much as I possibly can and to push myself a little each week to try something new. I have SO much to learn but unlike math, this learning is fun. Today, I went over the MCP blog to see the 10 featured photos from this week's theme and there was my photo! I am so excited! The theme this week was 'Nature's Finest'. 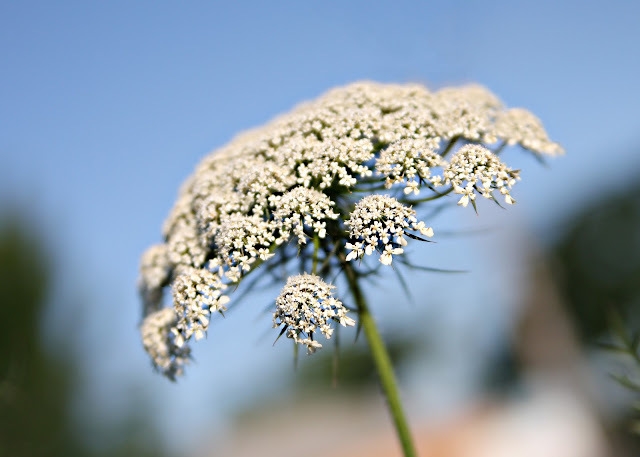 I chose to take a picture of some Queen Anne's Lace because they remind me of growing up next to a huge field where we used to play (before I knew about things like mice and snakes).